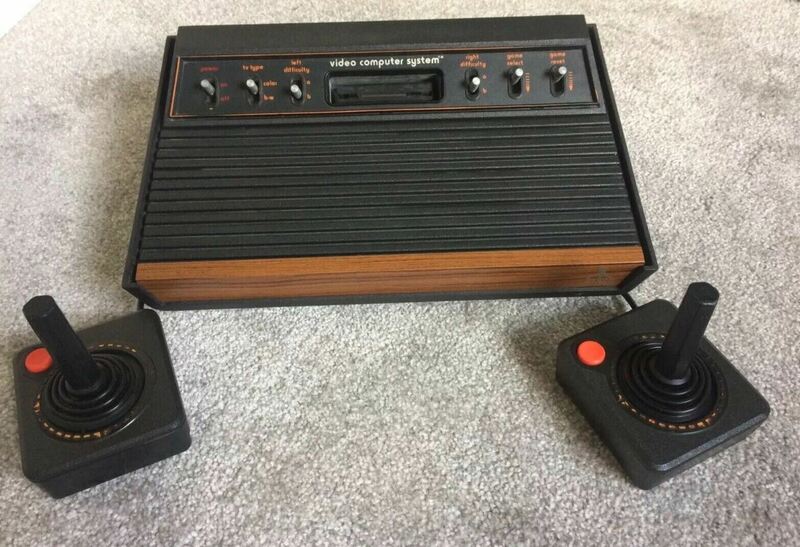 I remember, when I was a kid, a time before a “console” was even a thing. At Christmas I remember playing records. Proper records. Big vinyl double-albums with pictures of all the bands and singers. It was great. I even had my own record player. Then, one day, something appear which plugged into our TV. It had a couple of very rudimentary controllers and looked nothing I’d ever seen before. Plugging it in, tuning the TV to the right frequency and getting any kind of decent picture was a big of an artform. But, after a bit of messing around, it would burst into life. It was the first video game I’d ever seen. 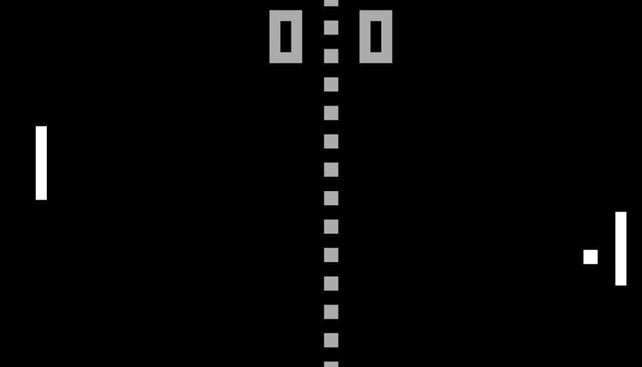 It was my introduction to the famous Pong game. The console had other games on there too, but they were broadly similar to Pong. It would be called “Tennis” or “Squash” but they were all pretty much the same and involved two large “bats” (if you can even call them that) hitting a ball (which was square!) It was an Atari 2600 and was made out of wood. How many consoles are made out of wood now? Not many, I can tell you! After that, I didn’t touch a console for many, many years. It took a while, but I eventually managed to get my hands on a Spectrum 48k. This was definitely not a console machine, but you could still play games. 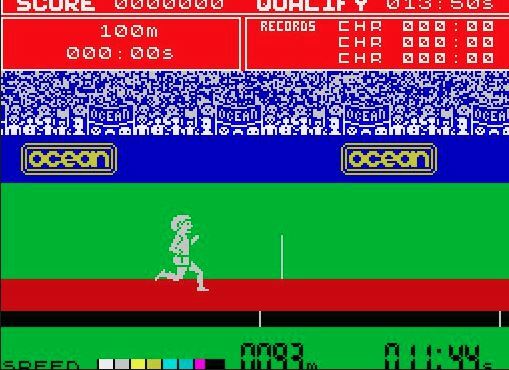 The games I remember the most from this time were Jet Set Willy, Horace Goes Skiing, Jet Pac and Daley Thompson’s Decathlon. The latter actually cause the rubber keys to lose their letters because I was hammering them so much in the game. If you’ve ever played Daley Thompson’s Decathlon, you will probably remember that you needed to press one key for one “foot” and then another key for the other “foot”. 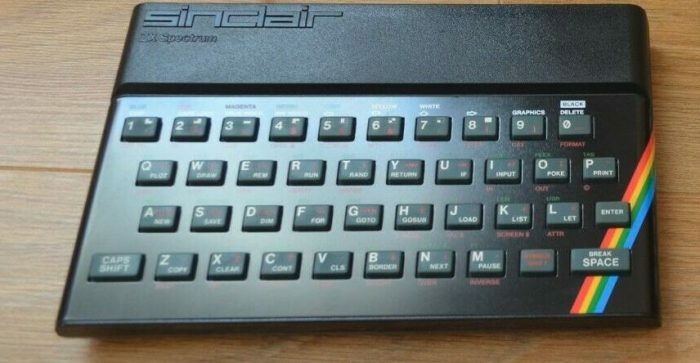 Thus, the faster you pressed these in sequence, the faster your player would run, but you ended up pushing so hard on the keys that you’d rub off the letters. I didn’t have a “Z” or an “X” for years, but it didn’t stop me from learning how to code in BASIC. After a while, I jumped up to the Amiga A500 – a huge leap forward in power. It also gave me far more colours to play with, as there was only 8 on the Spectrum! The Amiga used floppy disks instead of loading from cassette tapes, but I moved up to the A1200 after a bit and experienced the speedy loading enabled thanks to something called a “hard drive”. My favourite games were Lemmings, Cannon Fodder, Bubble Bobble, Speedball 2 (I still remember playing that like it was yesterday) and Gods. Gods was a brilliant platformer, with really high-quality sound and graphics. It had a puzzle-solving element to it too. I moved onto PC gaming but tended to get distracted by the more interesting things you could do with desktop computers, like being able to browse the internet etc. In fact, it was a few years later when – on my mobile phone at the time – I got hooked on the infamous Snake game. This popped up on other phones later, but Snake tended to be pre-installed on Nokia phones and it would have you hooked. Worldwide, at the time, some 350 million devices had Snake and you could even play two-player via the infrared port. A couple of mates then had the N-Gage, but it was a long time before smartphones almost re-introduced gaming on a mobile phone, and I remember how mainstream makers like Sony Ericsson gave us the Xperia Play – this was an attempt to try and bring the Playstation experience and the phone together. In 2011 though, it didn’t do terrifically well. Perhaps it was a little far ahead of the curve. After all, it was powered by a single 1GHz CPU and had just 512GB of RAM. Try putting one of the more modern Android games on that now and, well, it wouldn’t work. The games back then were far, far behind what consoles could do. As phones got more and more powerful, with screen increasing in size and graphics processors being included too, developers made use of the capabilities. Games such as Angry Birds introduced millions of users to the mobile gambling universe through these new touchscreen phones. By 2013, mobile gaming was world-famous. On my phone, I’ve gone through a lot of popular Android games, from Pokemon Go, Fortnite and more. I’ve also played those quick “time fillers” such as Crossy Road, Toon Blast, and the ones that need you to invest a bit more time, such as Minecraft or The SIMs. Nowadays, we have many apps and games for passing the time, and the gambling industry has also helped to blur the lines in this area too. There’s not a great deal of disparity between those “time filling” apps where you need to select blocks or pop balloons and casino games, where you have to scratch off panels or choose a number. Online casinos are now popular, mainly because their games can be easily accessed. Also, well-known slot games similar to Starburst slot or Book of Ra are liked because there’s a familiarity with regular Android or iPhone games which are used by so, so many users. Indeed, I have a bit of a history with the casino industry, having worked for a well-known online gambling company for a number of years. This is an industry like no other, where the pace of change is never-ending and utterly ruthless. You cannot pause for a second or relax, as the competition will take the opportunity and will move ahead in a matter of weeks. This, in a way, is good for players as it’ll deliver better experiences, with gaming, gambling, casino and bingo games showing just what is possible from a smartphone. In turn, it means that developers of other games have to make better and more advanced graphics and gameplay. 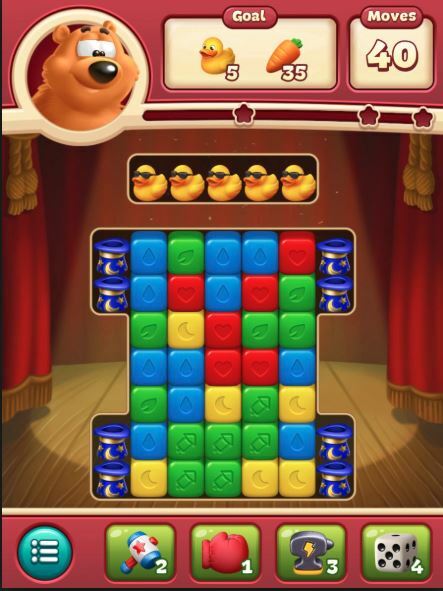 As the big online gaming companies have such huge resources, they’re able to dedicate bigger resources to Android and iPhone games than the regular indie developers, so you’ll sometimes see improvements in graphics and sound in those games first, before it propagates down to other games within the Google Play or Apple iTunes stores. In the last couple of years, because the technology is now cheaper and performance has increased, developers have really upped their game. 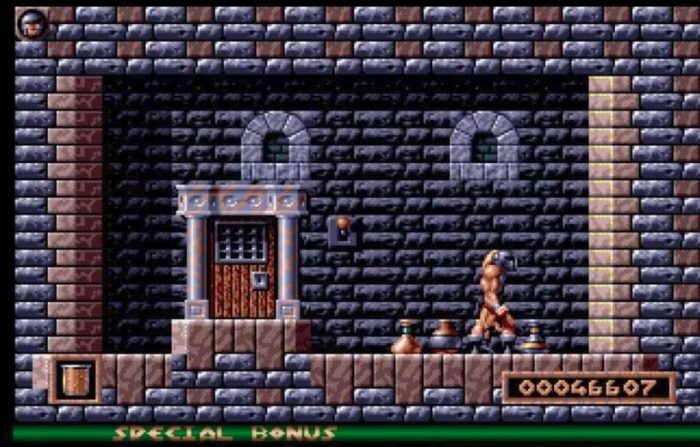 When I think back to the blocky Spectrum game-play or the refresh-rate on my Amiga, it’s like a million years ago. Now we have high-resolution gaming, VR gaming and hugely fast experiences – in our pocket. When I think about how far we’ve come, it’s really amazing. Plus, if I want, I can play the old games that I used to play on the Amiga and Spectrum (even Pong!) via emulators or re-made versions from my mobile app store. 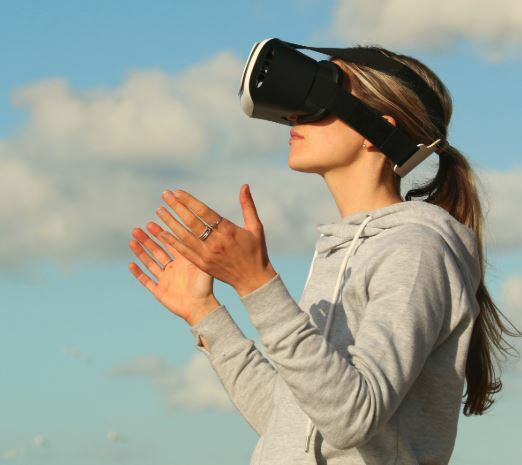 The gaming industry is going to continue pushing ahead, reaching a whole new level in 2019, and beyond. The hardware and software are getting better each year, and developers are finding a new revenue model and a new market now that everybody, everywhere has a device that will run their game. It’s no longer restricted to those owning a console. The target market is now everyone. The post My gaming history is original content from Coolsmartphone. If you see it on another news website, please let us know. Previous PostPrevious A fun way to get your kids brushing properly.